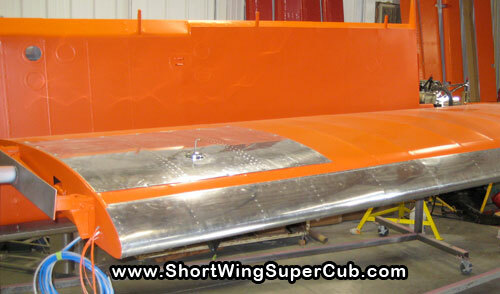 Here are the wings, fresh from the paint booth done in Stitts Poly Tone, Pumkin Orange. Aren’t they pretty? 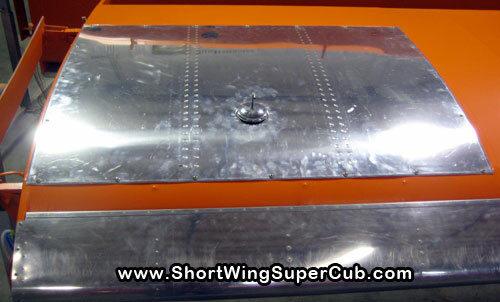 The leading edge slot, long-range fuel tank covers, and inspection covers are not painted. I prefer the polished aluminum look, so anyone looking at these wings, will see that these are not your standard Pacer wings and the inspection covers are so much easier to find…. Have you finished your Pacer yet?